I’ve been struggling to find time for playing this during the last week so this post is going to be brief. The plan was to get all the pieces of the map together before part 3 but I’ve only managed 3 so far. 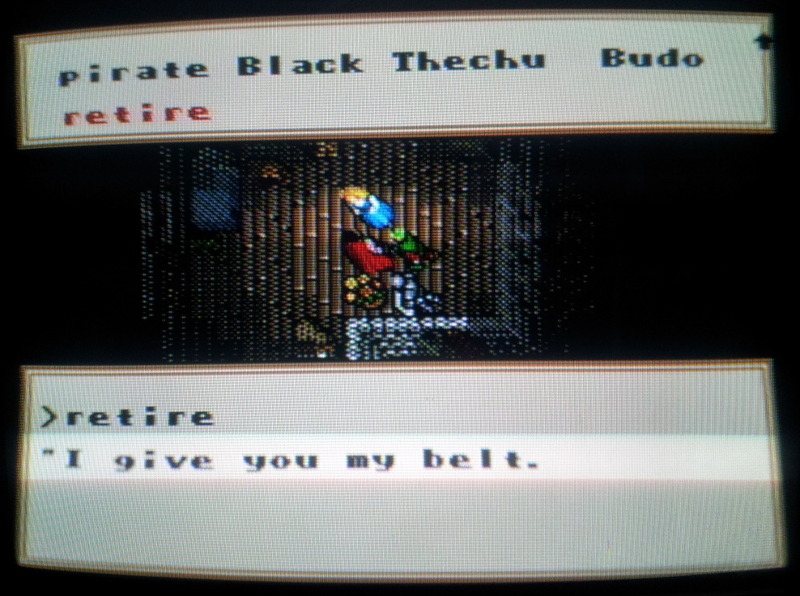 The first port of call was Budo at the thieves guild on Buccaneer’s Den. He won’t tell me anything until I join the guild myself which means retiring an existing member. The member in question lives down in the sewers underneath Castle British. 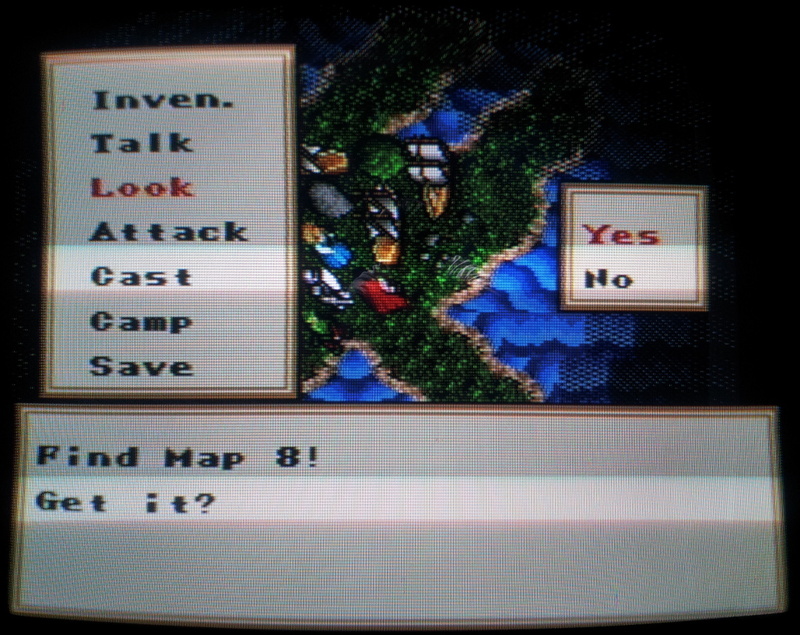 This was always one of those ambiguous moral decisions you had to make in the original version. Killing them reduced Karma but worked otherwise. The pickpocket spell could be used either or finally there was a trick where moving a man-trap onto them which killed them off without any loss of Karma to the Avatar. The man-trap is still in this version but there doesn’t appear to be any way to move it so I’m stuck getting my party over it the painful way. There is no pickpocket spell either as it is one of a large number of spells cut for the SNES. You would think this only left assassination but to keep the port family friendly all I have to do is ask them to retire and they hand over the guild belt with no questions asked. Now that I’m a member of the guild, I am told about the treasure map of which I need to find 8 pieces that will in turn tell me the location of the tablet. I recall where some of these are from the last playthrough and fetch 3 of the easier ones. The sticking point comes with dungeon Destard. I need to go in here to fetch a Dragon’s egg in order to get information out of a cook called Sandy. The problem is that it’s full of dragons and I’ve so far not even managed to make it to the dungeon entrance without my whole party being wiped out. This has called for something of a rethink of strategy. I’m led to believe that mass invisibility is the best spell to use as I’m allegedly left able to attack at leisure while invisible. This meant finding the sole mage who would sell me the spell, Nicodemus. He is hidden away in the middle of nowhere and I couldn’t remember exactly where for the life of me. Much wandering around later, I’ve now bought the spell but I’m still one level too low to cast it so I’ll have to raid a dungeon or two for experience. I am moving forward but the end of the game could be some weeks off at the speed I’m going. I’ll try to make some more time for this over the coming week although I’m going to get seriously distracted by the Telethon Of The Avatar which starts later today. I’d encourage one and all to get involved in whatever way they can to make it a success. It’s such a great idea and the effort being put into that by Rustic Dragon is unbelievable. I’ll put in a special request for anyone who fancies playing a bit of Ultima music to take up one of the available slots. So far I’m the only representative for Ultima’s musical heritage which can’t be a good state of affairs for anyone concerned. Speaking of which it might be an idea for me to go and get a little practice in. 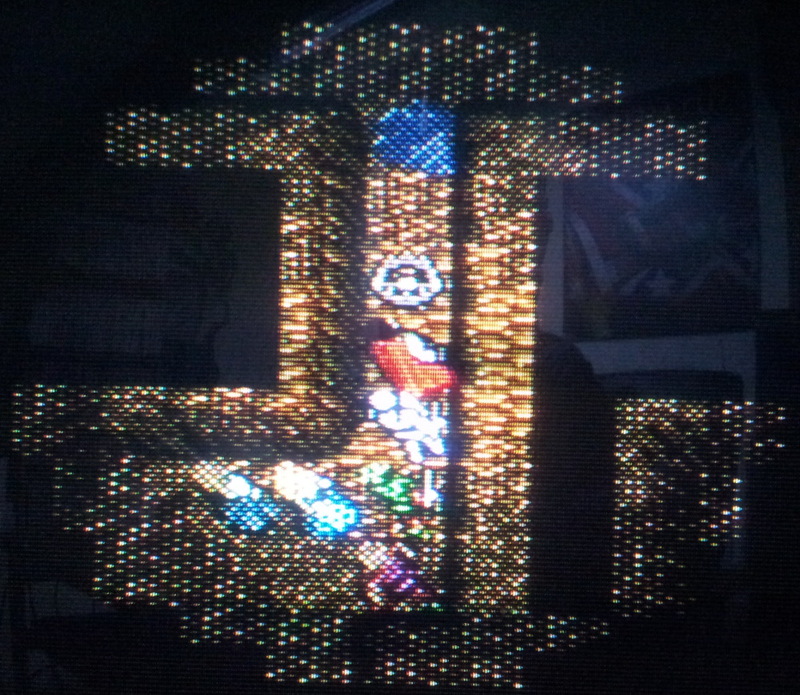 This entry was posted in Ultima 6 by Pix. Bookmark the permalink.